Tropical paradise living at it’s finest! 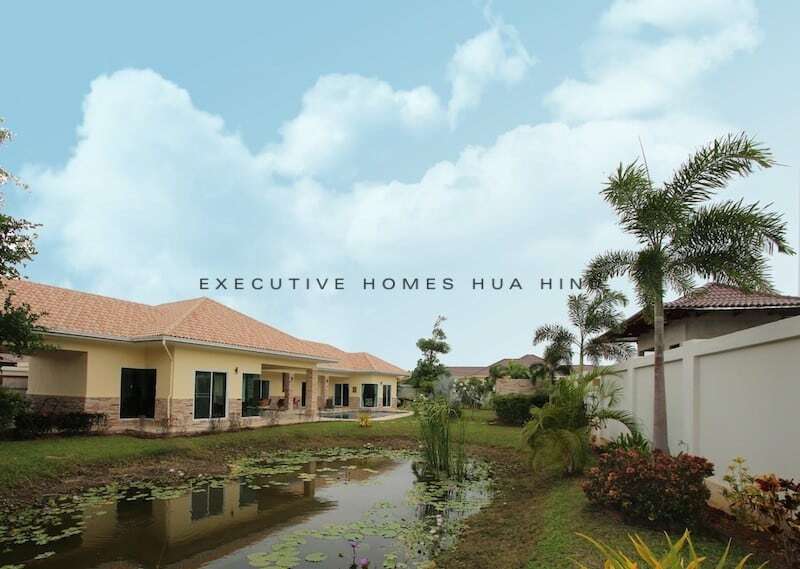 A high-quality home, at a good price is difficult to find in Hua Hin! 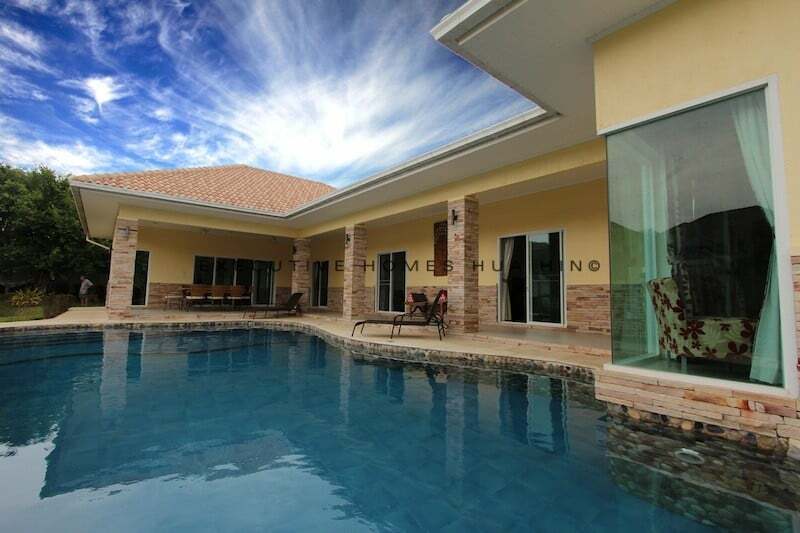 This Hana Village home is a fantastic, fully furnished, modern-style, 4 bedroom, 5 bathroom – beach house is located near one of the nicest beaches (Kao Kalok) in the Hua Hin area. 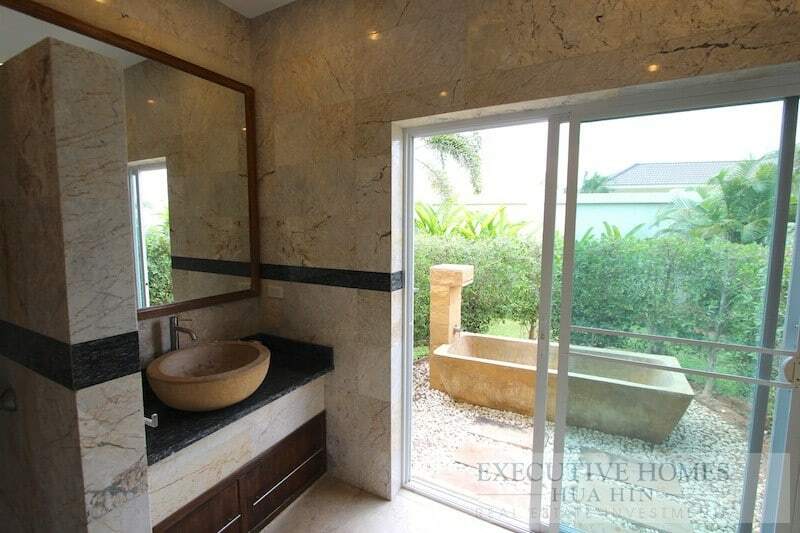 Located only 800 meters from the beach, the house is part of a very popular (sold out) housing development. The house is located only minutes away from many 4 and 5 star resorts, excellent restaurants, shopping, and an amazing national park. 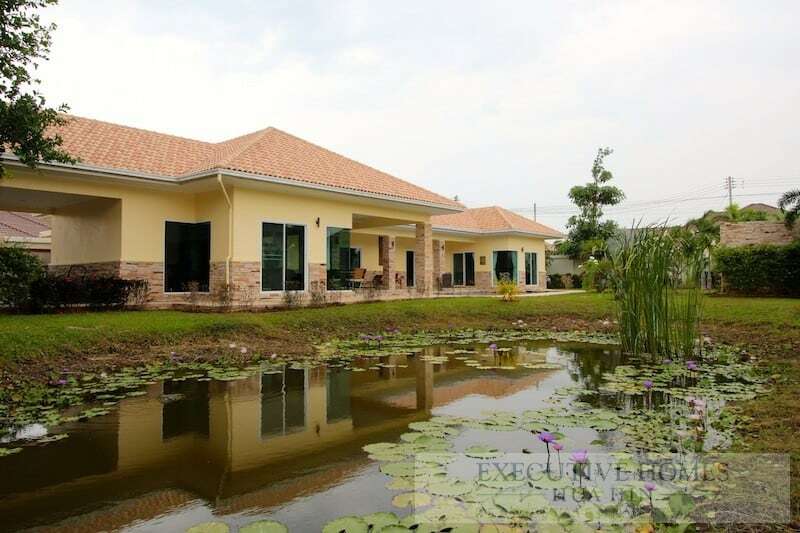 This private swimming pool villa (with jacuzzi) has it’s own private lake with gorgeous water gardens, extra large outdoor terraces, and mature landscaping. There is a lovely european style kitchen with all the latest modern appliances, and a separate separate utility room with washing machine. 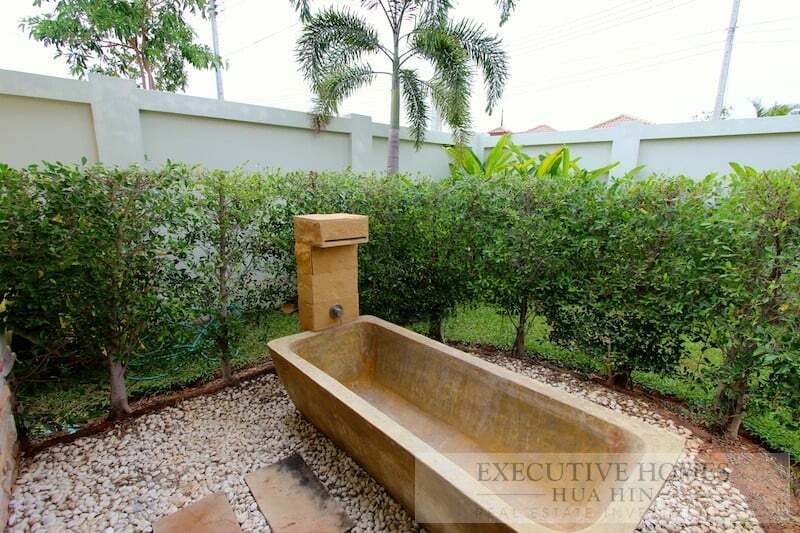 The master bedroom is extra large, with it’s own walk-in closet and private outdoor, handmade, garden soaking bathtub. The master bedroom has beautiful corner-style windows which allow for extra light and views towards the gardens, large swimming pool, and surrounding mountains. Screens on all the doors and windows also allow for keeping the house breezy during the late evenings. The living room also has corner windows installed to allow for extra light to flood the common living areas and kitchen, providing for a feeling of happiness and making the living areas feel open and inviting. Each of the four bedrooms are all en-suite with hand-carved vessel stone wash basins, large showers and floor-to-ceiling stone tiling. All bedrooms have ceiling fans and full AC. The furniture is all high-quality. 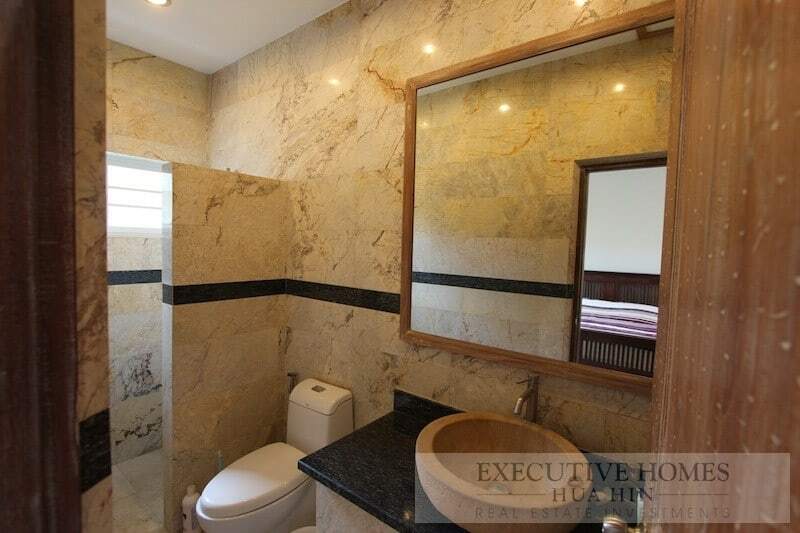 Tasteful pieces decorate the house which complete this beautiful home to a level of luxury living. 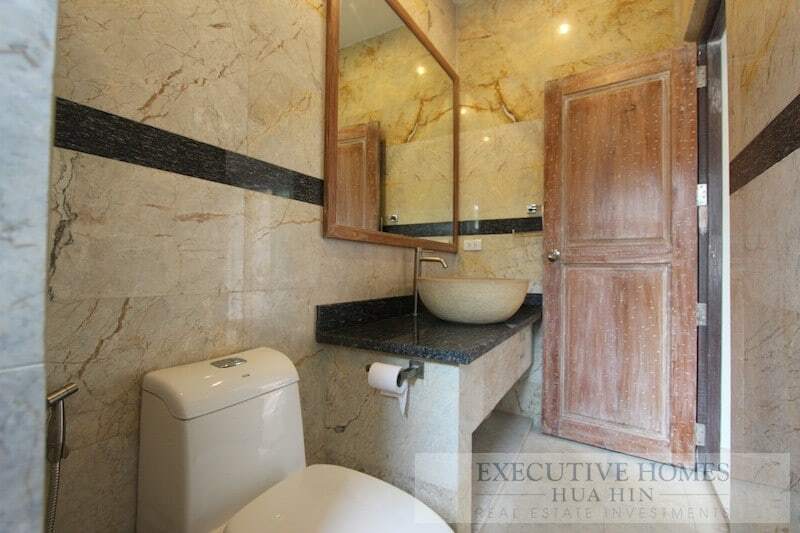 This house can also be rented for long-term and short term. The owners are willing to consider a trade or owner financing.